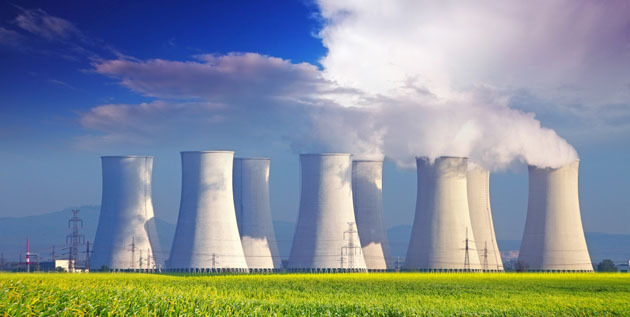 Discovery Investing pioneer Dr. Michael Berry says uranium has to be part of the solution if President Obama's plan for more nuclear reactors is going to be successful. In this exclusive interview with The Energy Report, Michael talks about the need for more uranium mining in the U.S., and why investing in energy metals is a safer bet than investing in industrial metals. The Energy Report: Last December, you thought inflation was still 18 to 24 months in the future. Is that still your thinking? Michael Berry: It depends who you talk to. We don't have any visible inflation in this economy right now. If anything, there's still de-leveraging. There's excess capacity out there. We're not moving down the unemployment scale very much. We still have 9.7% unemployment, even after a lot of government intervention in the labor markets. Right now inflation is hard for me to see. We're still that magical 18 to 24 months away, or maybe even more, from inflation. Certainly if interest rates move up we could have that, but there's still a lot of excess capacity. There's a lot of debt. The Obama administration and the Bush administration really didn't deal very well with the excess debt. They just kind of rolled it over and pushed it out. Europe seems to be following suit in Greece today. I'm an optimist. If you're an optimist in this market, you believe inflation is coming. If you're a pessimist in this market, you believe that we're going to be in a painful deflation for some time to come. I'm an optimist, so I think within the next couple of years, we'll get some inflation. TER: With inflation somewhere on the horizon and a continued period of recession in the meantime, part of the strategy is to be defensive. In a world where we have inflation, but we also have pressure in the U.S. strategic metals, would you consider uranium a safe investment area? MB: Today, any energy metal is a safer investment than an industrial metal. We're going to need uranium because the world, if not the U.S., is going nuclear. We're probably going to need thorium eventually. In some sense, uranium is very cheap now and we have a lot of it in the U.S. and Canada. Resource nationalism is spreading around the world. If you look at the rare earths (REE), I think the same thing applies. We have to have rare earth elements because they're integral in many strategic applications and we don't have much REE resource in the U.S. We don't have a lot in Canada. Quest Uranium Corp. (TSX.V:QUC) is one rare earth company in Quebec and Avalon Rare Metals Inc. (TSX:AVL;OTCQX:AVARF) is another interesting one, with its Thor Lake deposit. Some of these energy and strategic resources are going to be more resistant to downturns. Copper is trading for $3.50 a pound and it seems to want to stay there. I'm a little nervous about copper. If we do have a major downturn, you could see the industrial metals, as opposed to the strategic or energy metals turn down. I'd like to make one other point. Up until 2007, we had this theory of decoupling as it relates to China. Then everybody pooh-poohed it and said, oh no, China isn't decoupling. China may well be a bubble, too. There may be a significant downturn in China. However, I think decoupling is going to come from the emerging markets. The emerging markets are where growth will emanate because we are witnessing a quality of life increase there that you aren't going to have here and in Europe. Probably not in Canada either. Decoupling, in this case, will be the generator of demand for these metals, which is going to be stimulated from sources other than the U.S. and the OECD countries. TER: But going with that decoupling theory, if we're seeing expansion, then wouldn't the industrial metals also continue up? MB: Yes. Except that in the short run, we may see excess capacity in places like China. I don't think you're going to see it in India. You may see a bubble that bursts in China. There is excess capacity. On the other hand, China is a state-run economy and so they can do things that democracies cannot do. My long-term view is that there will be decoupling and that the emerging countries of the world, not just China, but India, Brazil, Argentina and others will eventually lead us out of this global recession. That is the significance of this sort of "decoupling." Emerging countries will take the lead and they'll outgrow us consistently over time because people in those areas need infrastructure. They want a better lifestyle and all the things that we've become accustomed to in the West since the end of the Second World War. TER: With what you just said in mind, are there any companies that you're excited about in this sector? MB: There are a couple of companies that I think probably bear near-term attention. One is called Salares Lithium Inc. (TSX.V:LIT). I know many believe that lithium is the hottest, the latest and the greatest resource fad. There's a lot of attention on lithium-ion batteries. Salares has perhaps the best set of brine lakes in Chile. They have seven of them in Chile; five are 100% owned. The stock is just so strong. It keeps moving. They have run geophysics over the two largest salars and can see brine that goes so deep they cannot see the bottom. They will be drilling for grade very soon. Oil people tend to understand lithium brines. There's a strong institutional backing of the stock. Todd Hilditch is the CEO and he's a very fine young executive who's making his mark in the mining industry. Another company that I really like is Goldbrook Ventures (TSX.V:GBK). In far northern Quebec, nickel is key to the new clean energy economy. There are only a handful of nickel sulphides trends worldwide. Goldbrook owns about 47% of the entire Raglan trend, which is a developing, world-class sulphide-nickel-copper-cobalt PGE deposit. Xstrata and Anglo are other big participants in the Raglan. The Chinese nickel company Jilin Jien came in and is financing Goldbrook to production on their resources there at a 75/25 carry to production. Jilin Jien is the second largest nickel producer in China. Jilin also bought out Canadian Royalties and Goldbrook has a 25% equity interest in that company, also on the Raglan. That resource of 21 million tons, 43-101, and is worth at least $2 to $3 a share to Goldbrook, at low cycle metal prices, in my opinion. Goldbrook Ventures' shares are now selling for $.30 a share. I really like the company. It may be unknown to most people, but this Raglan nickel belt is going to become another Thompson belt. It's going to be another Sudbury. For any sulphide nickel aficionados this belt and GBK, in particular, is one to watch. On the rare earth side is Avalon, which owns Thor Lake in the NWT. Thor Lake is a huge rare earth deposit of 69 million tons. Avalon is moving that along with a planned pre-feasibility study in 2010. The key is that it contains both light and heavy rare earths. It's interesting that most of these rare earth resources are either in Canada, China or Russia. Unfortunately, for the most part they're not in the U.S.
Stans Energy Corp. (TSX.V:RUU) has a high-grade deposit in the country of Kyrgyzstan. I'm violating my principles because I always said I'm going to stay in Canada, the U.S. and Mexico. However, I'm starting to range to places like Colombia, Guyana and Kyrgyzstan because that's where some of these great deposits are located. The current situation in that country not withstanding, these types of assets are "company-makers." TER: There are lots of different types of rare earths. There are the heavy and the light. How do you compare Stans Energy to Avalon? MB: The heavy rare earth elements, compared to the light REEs, are rare indeed. Some of the "heavies" are Europium, Terbium, Dysprosium and Yttrium, used in magnets, superconductors, ceramic and lasers. The companies probably compare favorably, actually. The heavy rare earth elements are sought after and sell for hundreds of dollars per kilogram. Avalon's Thor Lake is a great property. This deposit has all kinds of metals in it. It has beryllium. It has thorium. 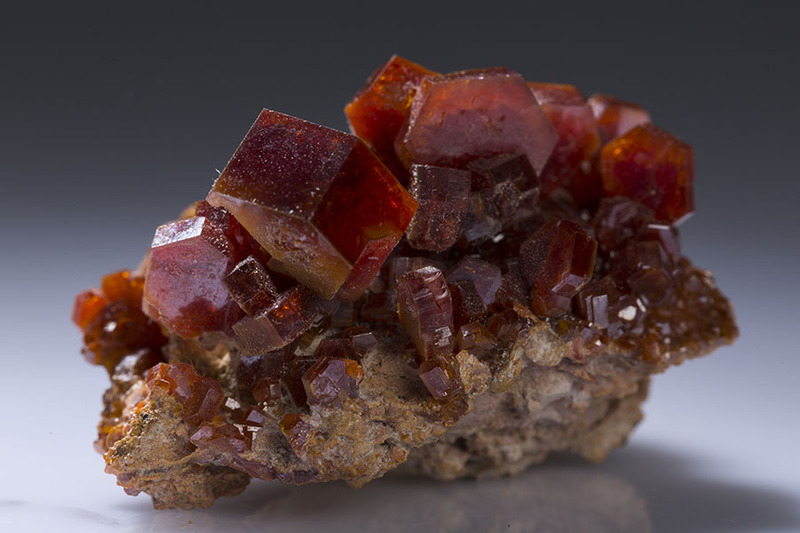 It has both light and heavy rare earths and it has a lot of them. They have a great deposit and now they're going to have to figure out how they're going to process it. At the same time, the Stans Energy deposit in Kyrgyzstan has a Soviet era production plant called Kutessay II in place there. 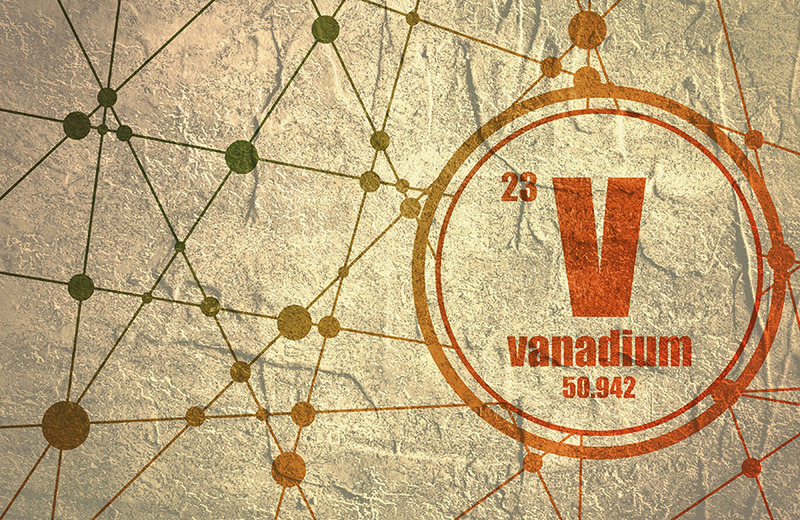 This plant produced 80% of the Soviet Union's REEs till 1991 and it is about 50% heavy rare earths. They have lots of experience with metallurgy here as well and excellent infrastructure. Kutessay is not running now. The Soviets open pit mined this during the Soviet Union's heyday. They have some dysprosium and some of the heavies as well. They have a good, solid base of heavy rare earth elements there also. I'd have to say I'd rather be in Canada, but I also like the Stans Energy deposit and plant very much, too, in Kyrgyzstan. Both projects will be developed. The other thing that is interesting is that it's pretty much Canadians that make this mining game go. These companies are Canadian companies headquartered either in Vancouver or Toronto. Avalon and Stans Energy are both Toronto companies. The world is getting smaller for us all, and we must begin to look far afield. Canadians seem to be well received. TER: When we were chatting before the interview, you mentioned that the rare earths are worrying Washington. Can you explain that? MB: I do quite a bit of work with The Western Caucus, which is a group of congressmen from the Western states, mostly Republicans. The U.S. defense strategic stockpile of metals has been basically sold down. This country is more or less dependent on either what we produce internally or what we can import. For example, we import 31% of the copper we need in this country. With rare earth metals, we have very few mines and they're mostly light rare earth elements. China controls about 97% of that market. 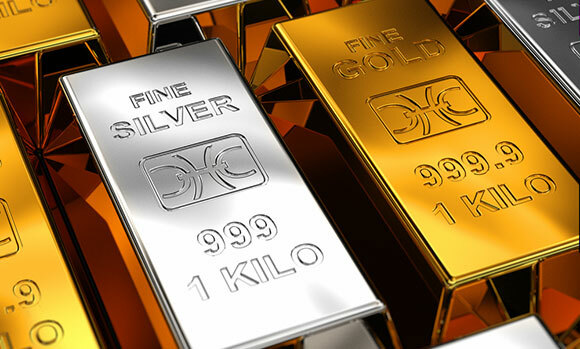 These are very important metals for strategic applications. Things like weapons, magnets for motors, superconductors and so on. This issue of declining strategic resources has come to the attention of congressmen like Bishop from Utah, Forbes from Virginia and others. Anytime China has an advantage, Washington becomes concerned. You can say the same thing about molybdenum and tungsten—other metals that China basically has a grip on. Washington's holding hearings on these issues. It's had a lot of hearings on them. I'm not sure exactly what they're going to do, but most of the opportunity right now in Washington is to teach congressmen about our metal dependencies, our mining inefficiencies and domestic mining development in this country. I spend a lot of time doing that. Right now you can get everybody's attention in Washington if you talk rare earth elements because they know we don't really have much of a resource in that area. 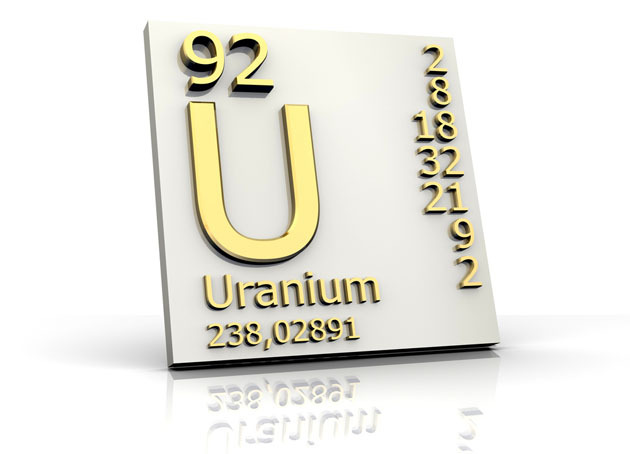 TER: As far as uranium goes, are there any companies in that sector that you're looking at? MB: There is an American company called Uranium Energy Corp. (NYSE:UEC). UEC will be doing uranium mining in Texas. The state of Texas is a little more mining friendly. It'll be an in situ mining operation. The uranium issue boils down to the following. Our president has said he wants to build up to 100 more reactors over the next several decades. We import 90% of our uranium from countries like Canada and Russia. Yet, as a country, we have the fourth largest domestic resource of uranium in the world. This should be an American industry. Those are jobs. There are a lot issues that are in play here in terms of the uranium industry itself. However, the Obama administration is going to be attempting, and will probably be successful, removing a lot of lands from mining opportunities. One of the areas they'll likely try to remove is the Arizona Strip north of the Grand Canyon. The Grand Canyon is rich with uranium and uranium pipes. These are cylindrical pipes that are high-grade, about 0.65% U3O8. 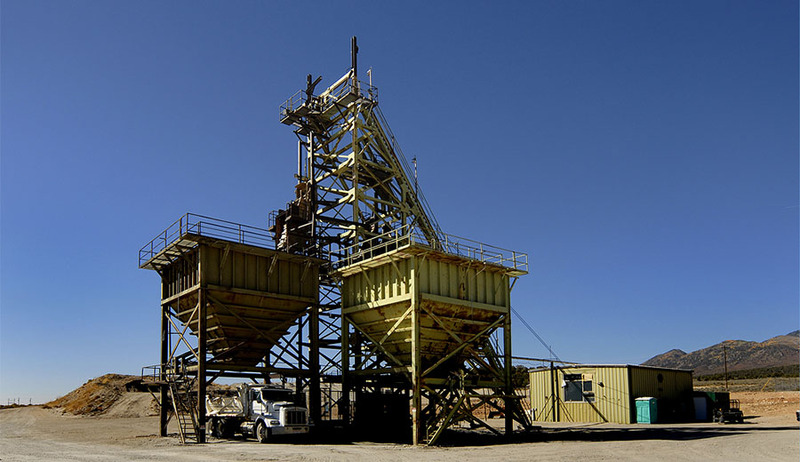 Between 1980 and 1990, six mines on the Arizona Strip produced 19 million pounds with no pollution and no deaths. 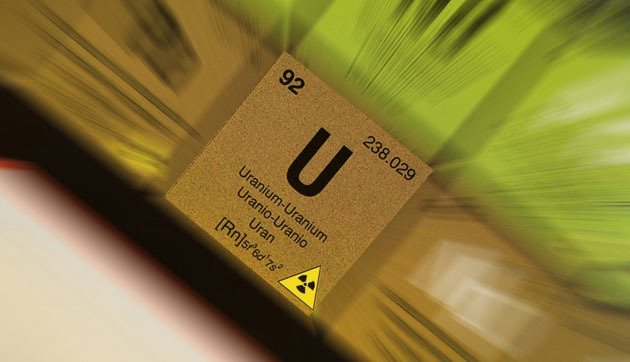 One pound of uranium makes 10 small fuel pellets. Each fuel pellet replaces the energy content of 1 ton of coal. The Obama Interior Department placed 1 million acres, 2765 million pounds of uranium off-limits for exploration in July 2009. TER: How difficult is it to get the uranium out of the ground in areas such as the Grand Canyon? MB: It's not very difficult. These pipes are north of the canyon and above the water table. They're very small, very compact. The surface footprint is 20 to 25 acres. Usually a couple of million pounds each, plus or minus and they can be mined in two years and reclaimed quickly. They were mined and reclaimed in the 1980s very successfully with no known environmental damage. This is 10 to 15 miles north of the Grand Canyon. So you can't see them from the south rim. There are hundreds and hundreds of these uranium pipes out there. Denison Mines Corp. (TSX:DML; NYSE.A:DNN) is mining a pipe called Arizona 1 and it has, I think, two other pipes. Quaterra has made three uranium discoveries up there using a new more powerful and less invasive geophysical technique. The mining on these pipes is very straightforward. It's underground, so there's no open pit. There's no scar on the landscape. If you raft down the Grand Canyon, you can actually see pipes in the walls of the canyon where they've been naturally eroded down. People have said, well, mining companies are going to contaminate the groundwater. In fact we've never seen any uranium contamination or radioactivity in the water of the Colorado River at all. It's a pretty big issue and it means jobs. Both the governor of Arizona and the governor of Utah want see these natural resources developed in an environmentally responsible way. There's no reason why we can't do that. If we're going to have clean energy, if we're going to have move forward and move away from carbon-based energy sources, nuclear energy has to be part of our solution. If nuclear energy has to be part of our solution, at least for the next several decades, domestic uranium has to be part of the solution. We have it. 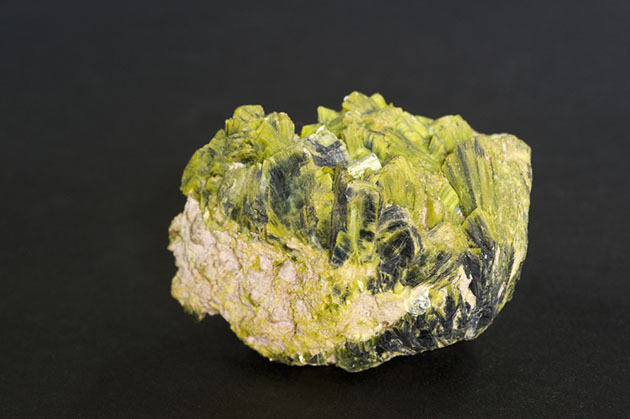 We have more uranium than most other countries domestically. Why would we again run up a deficit, pay somebody to become dependent on uranium as we've done with oil? We don't need to. Dr. Michael Berry has lived in the U.S. for 36 years but raised in Canada. A math major at the University of Waterloo in Ontario, he earned an MBA at the University of Connecticut and obtained a PhD specializing in quantitative analysis and investment finance from Arizona State University. He has specialized in the study of behavioral strategies for investing and has been published in a number of academic and practitioner journals. His definitive work on earnings surprise, with David Dreman, was published in the Financial Analysts Journal. While he was a professor of investments at the Colgate Darden Graduate School of Business Administration at the University of Virginia (1982-1990), Michael spent considerable time with some world-renowned geologists on the Carlin Trend. While a professor, he published a case book, Managing Investments: A Case Approach. Michael also held the Wheat First Endowed Chair at James Madison University in Virginia, and managed small-and mid-cap value portfolios for Milwaukee-based Heartland Advisors and Chicago-based Kemper Scudder. His Morning Notes publication, distributed worldwide, provides analyses of emerging geopolitical, technological and economic trends, as well as identifying opportunities for the Discovery Investing strategy he developed. Read Dr. Berry's testimony presented to a subcommittee of the Natural Resource Committee, United States House of Representatives (4/8/10). 1) Tim McLaughlin of The Energy Report conducted this interview. He personally and/or his family own shares of the following companies mentioned in this interview: None. 2) The following companies mentioned in the interview are sponsors of The Gold Report or The Energy Report: Avalon, Salares Lithium. 3) Michael Berry: I personally and/or my family own shares of the following companies mentioned in this interview: Salares Lithium, Quaterra Resources. I personally and/or my family are paid by the following companies. None.